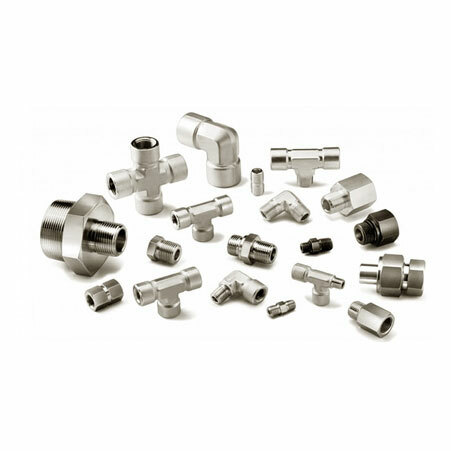 ﻿ Nickel 200 Ferrule Fittings, Alloy 200 Compression Tube Fittings Exporter. Nickel 200 Male Branch Tee Manufacturer, Alloy 200 Straight Union Supplier, Nickel Alloy 200 Ferrule Fittings Supplier In India. We, at Amcometals, are known for our innovative products that we have delivered to the industry through continuous efforts and quality control. Our services to customers include premium quality product profile, assisting them to choose a suitable one for their industry. We are an ISO 9001: 2015 certified company, dedicated to building customer centric engagements. 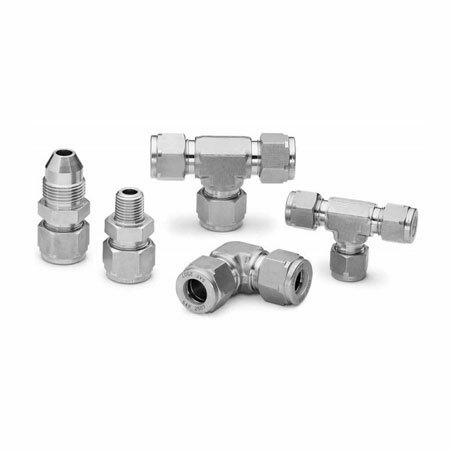 We are a manufacturer, trader, stockiest, supplier and exporter of ASTM SB 366 Nickel 200 Compression Fittings. 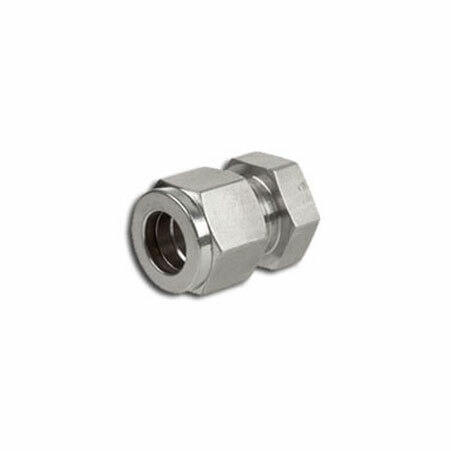 Our WNR 2.4066 Nickel 200 Double Ferrule Fittings have excellent serviceability in the high vibrating applications in thin and thick walled tubing systems; they give a tight clamping around the tube without damaging it. We supply UNS N02200 Instrumentation Fittings that possess high electrical conductivity and caustic soda handling powers. Our complete customization option offered to our customers, has provided client specific products for 25 years. ASTM B366 Nickel Ferrule Fittings Manufacturer, Nickel 200 Compresion Tubes Exporter, Nickel 200 Double Ferrule Fittings Supplier In Worldwide. United Arab Emirates, Hungary, Iran, Sweden, Trinidad & Tobago,Tunisia, Poland, Oman, Ghana, United Kingdom, Venezuela, Gambia, Poland, Germany, Denmark, Italy, Greece, Ecuador, Tibet, New Zealand, Afghanistan, Hong Kong, Lebanon, Canada, Vietnam, Namibia, Mongolia, Colombia, Gabon, Estonia, Kazakhstan, Mexico, Israel, Indonesia, Peru, South Africa, Nigeria, Jordan, Serbia, Egypt, Philippines, Japan, United States, France, Qatar, Spain, Croatia, Nepal, Brazil, Morocco, Slovakia, Yemen, Czech Republic, Portugal, Chile, South Korea, Netherlands, Sri Lanka, Azerbaijan, Belgium, Iran, China, Bangladesh, Bulgaria, Ukraine, Turkey, Thailand, Switzerland, Kenya, Macau, Bhutan, Mexico, Angola, Australia, Chile, India, Finland, Malaysia, Zimbabwe, Romania, Taiwan, Nigeria, Austria, Ireland, Belarus, Argentina, Saudi Arabia, Algeria, Russia, Lithuania, Singapore, Pakistan, Puerto Rico, Bolivia, Kuwait, Bahrain, Norway, Costa Rica, Libya, Iraq. Navi Mumbai, Melbourne, Los Angeles, Karachi, Lagos, Kuwait City, Atyrau, Granada, Hyderabad, Surat, Coimbatore, Gimhae-si, Brisbane, Visakhapatnam, Indore, Sharjah, Tehran, Muscat, Jakarta, La Victoria, Ho Chi Minh City, Lahore, Howrah, Petaling Jaya, Bengaluru, Perth, Montreal, Bogota, Manama, Colombo, Chennai, Dallas, Thiruvananthapuram, Jamshedpur, Kuala Lumpur, Madrid, Cairo, Noida, Baroda, New York, Courbevoie, Haryana, Riyadh, London, Milan, Hanoi, Jeddah, Port-of-Spain, Geoje-si, Al Jubail, Chiyoda, Algiers, Chandigarh, Vadodara, Pimpri-Chinchwad, Ulsan, Gurgaon, Faridabad, Nagpur, Abu Dhabi, Seoul, Bhopal, Dammam, Mexico City, Al Khobar, Ludhiana, Santiago, Singapore, Kolkata, Moscow, Pune, Ankara, Jaipur, New Delhi, Kanpur, Mumbai, Busan, Ernakulam, Bangkok, Sydney, Dubai, Istanbul, Vung Tau, Houston, Rio de Janeiro, Hong Kong, Rajkot, Doha, Aberdeen, Ranchi, Toronto, Ahmedabad, Nashik, Ahvaz, Thane, Caracas, Calgary, Edmonton, Secunderabad.